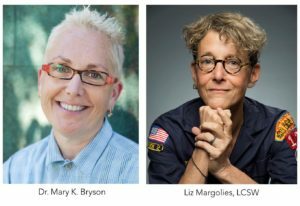 At Cancer’s Margins: Sexual and Gender Marginality in Cancer Health and Experiences of Care is a webinar that examines the resiliencies, biographical transitions, knowledge-seeking, and marginalization of gender and sexual minorities throughout their experiences as breast cancer patients. In addition to presenting research and stories, the webinar includes recommendations for improving breast cancer care. Health justice demands healthcare that is inclusive, respectful, compassionate, and evidence based. For 28 years, as a radical breast cancer organization, we have challenged the highly sexualized and gendered narratives that dominate mainstream pink ribbon culture and erase the experiences of too many people affected by breast cancer. Dr. Mary K. Bryson is Senior Associate Dean, Administration, Faculty Affairs & Administration, and Professor, Department of Language and Literacy Education in the Faculty of Education at the University of British Columbia. Mary is a queer and nonbinary breast and gynecological cancer ex-patient and Director of the Cancer’s Margins project. This project is Canada’s first nationally funded and national investigation of sexual and gender marginality and access to cancer knowledge, which answers the growing need in public health generally, and breast and gynecologic cancer care, specifically for evidence that will assist healthcare providers in the design of culturally competent care. Liz Margolies, LCSW, founder and executive director of the National LGBT Cancer Network, based in New York City. The Network educates the LGBT community about our increased cancer risks and the importance of screening/early detection, trains healthcare providers to offer more culturally competent, safe and welcoming care to LGBT patients, and advocates for LGBT inclusion in national cancer organizations, research and the media. Our presenters discuss the evidence and stories of how gender and sexual minority breast cancer patients experience resiliencies, biographical transitions, support networks, knowledge-seeking, and marginalization. They also outline recommendations for how to better serve gender and sexual minority breast cancer patients in order to improve their healthcare experiences and health outcomes. ← 5 Years After the Supreme Court Decision to Overturn Gene Patents: Where do We Stand?